Follow our guide on how to research house painting contractors, prepare for effective estimates, and choose the best painter for the job. Make a list of all the painting you want to be done for each interior room to include wallpaper removal, popcorn ceiling removal, crown molding or cabinet painting. 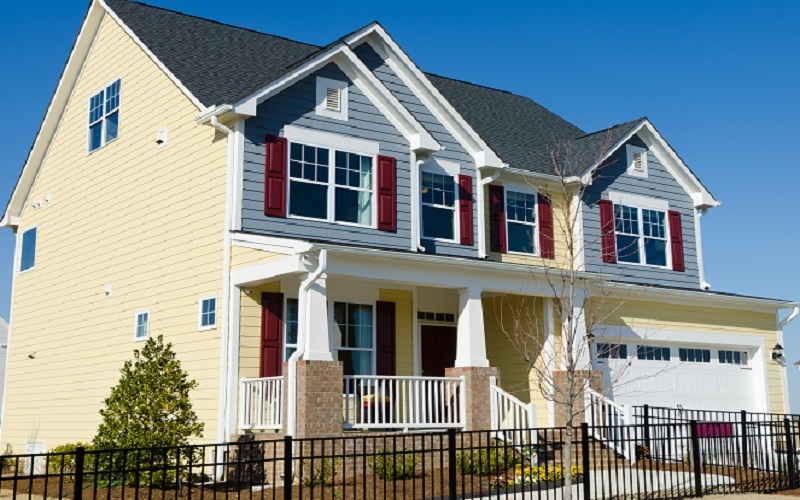 If this is an exterior painting project, note the type of siding you have (i.e. wood, vinyl, aluminum, stucco) and any areas of concern. Choose colors and/or finishes or note that you would like your painting contractor to assist with a color consultation. Make a list of what you did and did not like about your last paint job or painter. Also, note what your expectations are to establish clear communication with your contractor from the start. Identify a reasonable budget range. A painting company should want to earn your business, offer recommendations, and tailor their proposal for your budget. PRO TIP: Keep in mind that it's impossible to please everyone. If you see a few negative reviews - consider that a normal reality. Avoid a painting contractor with repetitive complaints or a pattern of providing dissatisfactory service. Go to Google.com/maps. Type in the name and city of the painting contractor to see reviews. It's important to note that businesses do not own and cannot control Google Maps reviews. In addition, Google Maps search results list nearby businesses (typically within a 5-mile radius) that it thinks are best for you based on tracking data and other factors. That's fine if you're looking for pizza delivery, but in your research to hire a painting contractor, don't let Google limit you. Type in the names of surrounding cities and use different search words (i.e. painter, painting contractor, house painting) to get a better idea of painting companies available in your area. Check the Better Business Bureau for a rating, reviews, and complaints. The BBB is a business membership directory - not a government agency. It charges businesses an annual membership fee to be listed in their directory as an accredited business. Their rating system (letter grade A - F) doesn't necessarily mean a business is trustworthy. It is based on the BBB's opinion of how a business will interact with its customers. In the words of the Better Business Bureau, "BBB accreditation does not mean that the business’s products or services have been evaluated or endorsed by BBB, or that BBB has made a determination as to the business’ product quality or competency in performing services." Though it offers consumers insight into a business and can act as a third-party mediator to help resolve conflicts, it cannot force a business to do anything or provide resolution. 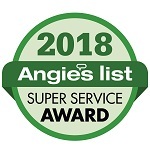 Look at consumers services such as Angie’s List and Home Advisor that specialize in recommending and referring home service providers. In most cases, these types of home improvement referral services are free to the consumer. But if contractors want to be referred to inquiring homeowners, they must pay a large sum of advertising money for both membership and individual homeowner leads. It's good to note that reviews on these sites are usually legitimate feedback by actual customers. Also, businesses must provide proven documentation of licensing, insurance, and other credentials. Yelp serves the retail industry - hotels, restaurants, consumer services - far better than home improvement and related services. But it's still worth taking a look during your research. Note that Yelp uses a software that automatically filters out reviews it deems unreliable. But it is not necessarily fair or accurate. When you research on Yelp, be sure to scroll down to the bottom of the list of reviews. You'll see a grayed out link to browse 'reviews that are not currently recommended'. Now that you are fully prepared and you have a short list of painters to contact, go ahead and schedule in-person estimates. Every painting company operates their business differently. It's important to match your expectations to the business model of the company you ultimately hire. For example, you might meet with the person who does everything - they sell, find new customers, provide estimates, purchase and pick up materials, do all the painting, handle customer service, project management, scheduling, billing, paperwork, operations, and customer follow-up. They are the 'one-person shop' with a little help from friends when needed. 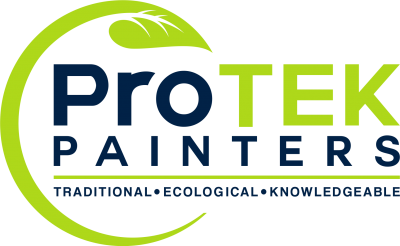 The other end of the spectrum is a business owner who professionally manages all of the people and processes involved in your painting project, start to finish. They are not 'on the tools' doing the actual work, but are highly knowledgeable. It is their reputation on the line, and they want to ensure you are a satisfied customer. Do you have a written warranty or guarantee? Are you licensed and insured with general liability and workers compensation? Can you provide copies of your certificates of insurance? Who is planning and supervising my project? Who is my contact person throughout the project? Have you painted homes nearby that I can drive past? Do you have references I can call? What methods of payment do you accept? Do you offer financing? How is my lifestyle affected? Do I need to be home while you paint? How do you protect my property and belongings? How, and how often, do you clean up the project area? What's the timeline? When could you start? How long will it take? How might weather or other circumstances affect this timing? Now you have all the bids in front of you. Seriously compare the proposals. Don’t let price be your only guide. The cheapest bid isn't always the best value. PRO TIP: "Price is what you pay; value is what you get." This Warren Buffett quote applies to any home improvement investment. Unless you want low quality or inexperienced results, hire professionals and pay them like professionals. First, compare the specifications in each proposal. If you don't have enough information, reach out to the company and ask. And this is also one way to get a feel for how responsive they are. What brand and product of paint does the bid include? The quality of the paint itself makes a tremendous difference in cost and lasting coverage. What square footage and number of coats does your estimate include? What preparation and repair work is included in your bid? Are there budget options or recommendations for upgrades included in your bid? Second, consider the benefits of working with each painting company. Do they offer a free color consultation? If you aren’t sure what colors you want, or just don’t know the shade, this is very important. If you know the exact color scheme, having a second set of eyes is still good. Do you receive leftover paint for future touch-ups? Are they environmentally-friendly? Do they recycle? Do they offer Low or No VOC paint product options? If you or your family have allergies or problems with scents, this is critical. Are they EPA Lead Certified? It is a good idea no matter what. It means the contractor knows how to safely handle lead paint and protect your family. Be wary of price negotiations. If you tell the painting company you want to pay less, the contractor may drop their price to get the job. But to reduce your cost, they may reduce the amount of labor (cut corners), decrease the quality or quantity of paint (lower material cost), or recoup their loss in other ways that actually diminish your value. Therefore, if you negotiate a lower price, ask your painter to designate in writing on the contract where the savings is reflected. Listen to your instincts. Did you like the person you met with? Did they seem well-informed, able to answer your questions, and clearly experienced in the house painting industry? Did you get a sense of integrity, dependability, and trust? Align your values with the painting companies you met. You are ready! It's time to hire a painting contractor, get the work done, protect and beautify your home.